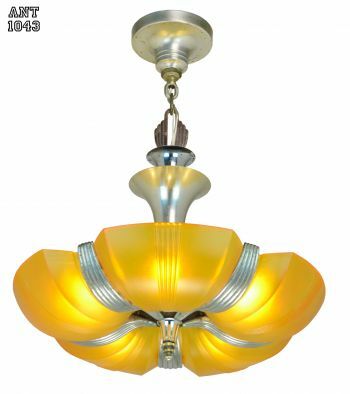 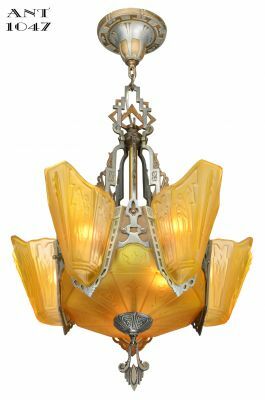 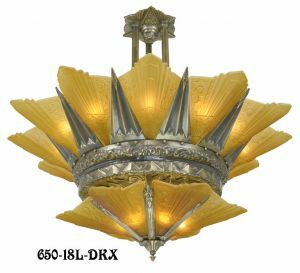 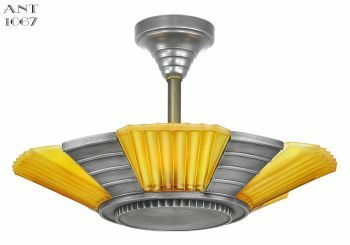 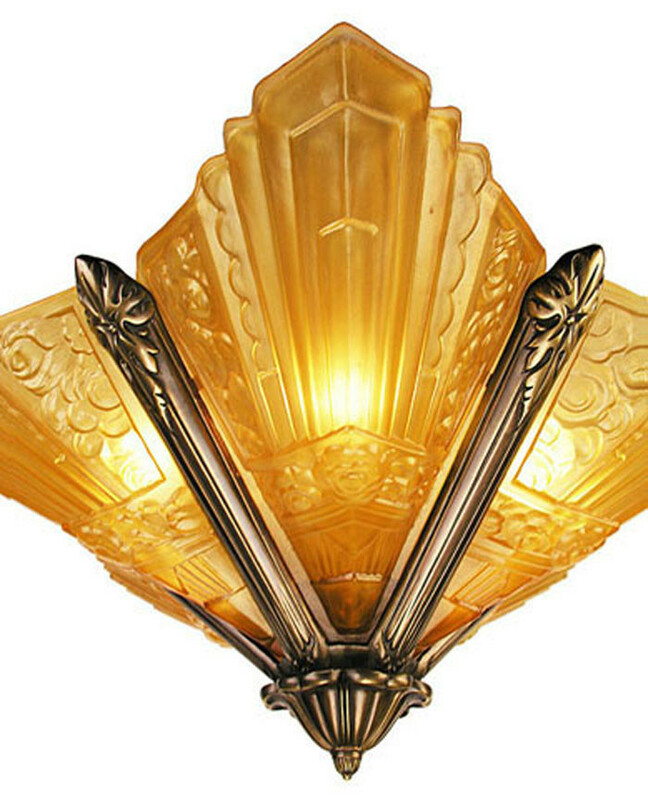 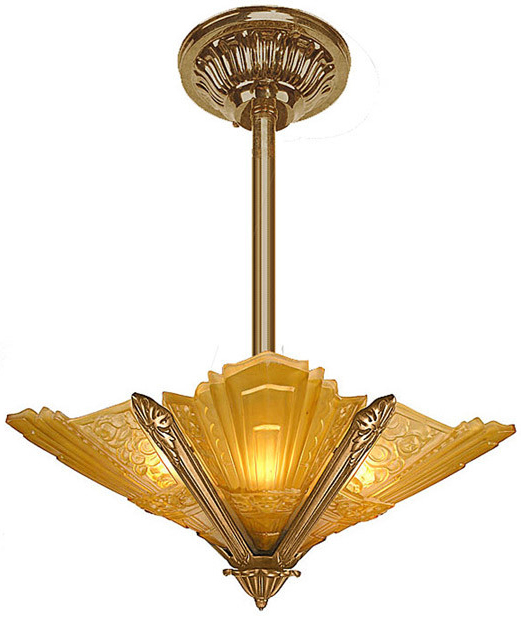 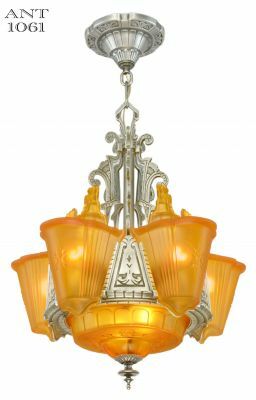 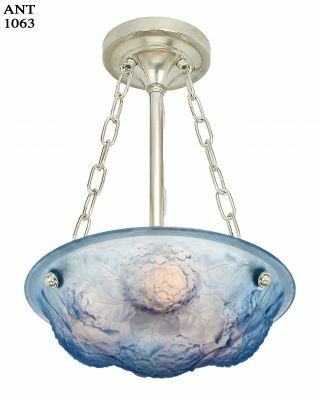 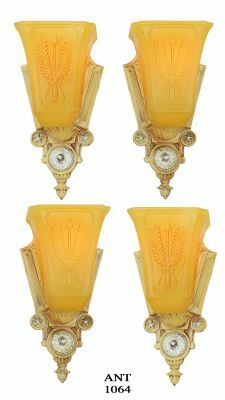 Although we usually focus on American antiques and reproductions, we couldn't resist this French design Art Deco five light chandelier. 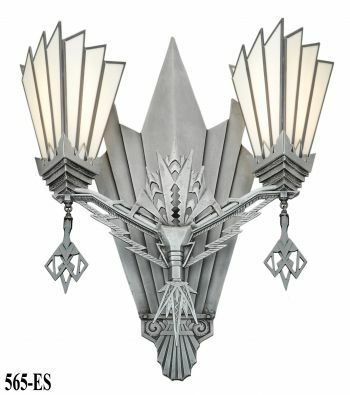 We offer a close ceiling chandelier and wall sconce (pictured below), and now the option for a tall chandelier. 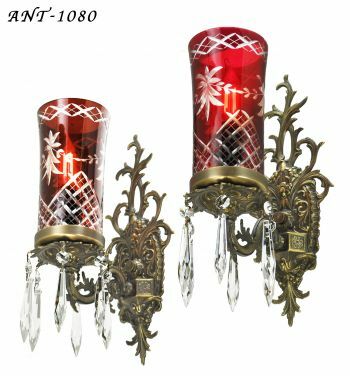 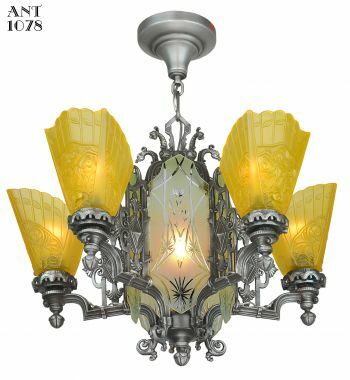 The original chandeliers came from a restoration project in Seattle, in the style and quality of Noverdy and Vianne who are now mostly out of business. 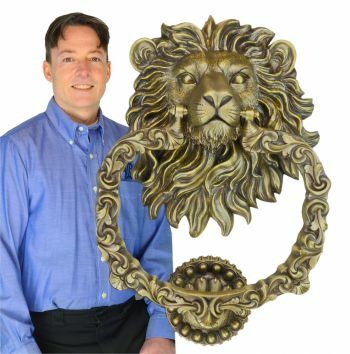 When the original antiques sold quickly, we decided to reproduce them to make them available to a wider market. 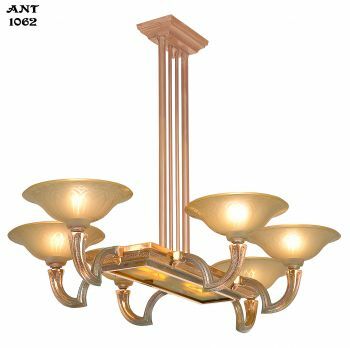 Can be made taller by adding our chandelier extension kit. 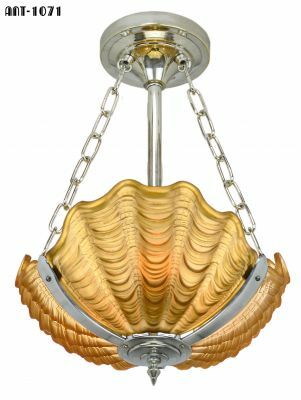 Spread: Approximately 26" diameter from shade-tip to shade-tip. 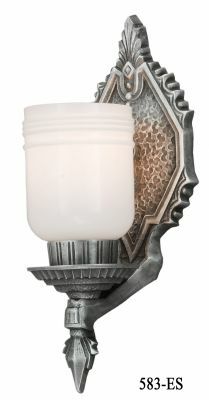 Wattage: Five medium base sockets, which can handle up to 100 watt incandescent bulb each. 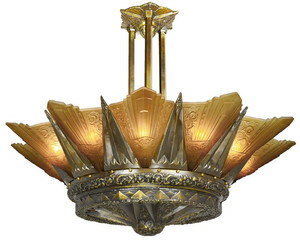 This is a nice, larger diameter chandelier. 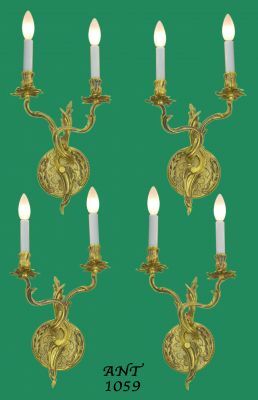 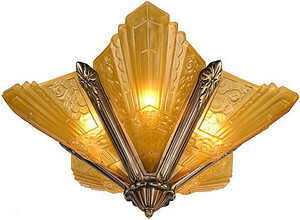 The basic fixture is solid, heavy-weight brass, with a variety of finishes available. 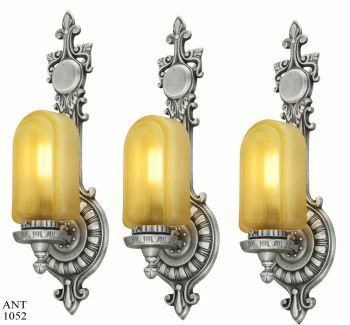 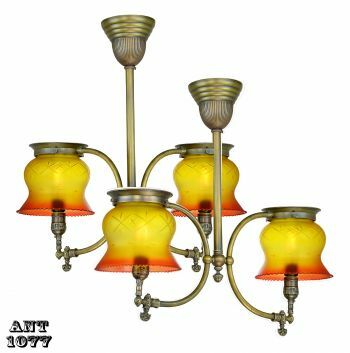 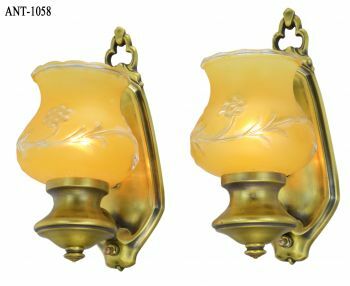 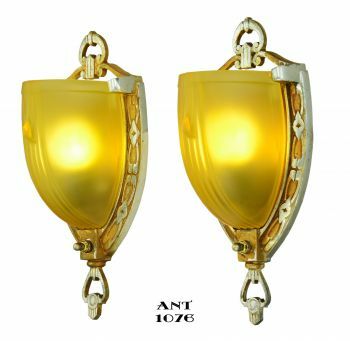 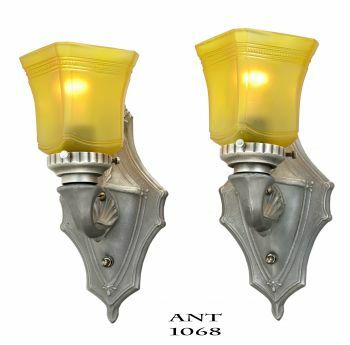 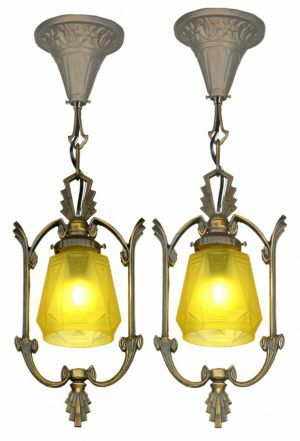 Shown with the Antique Brass Finish and Amber Shades option. 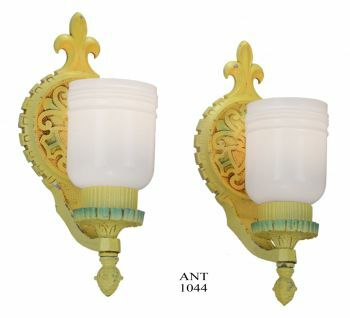 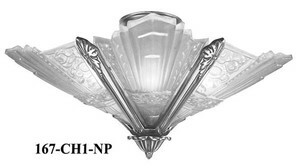 The glass slip shades are typical of fine French quality, but rarely seen today, even in reproduction. 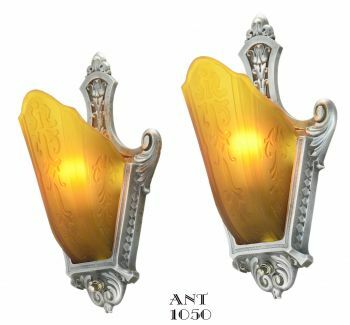 Choose from amber (pictured) or frosted glass. 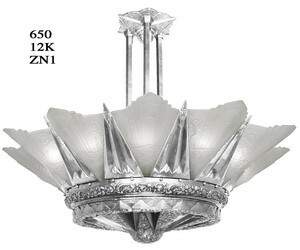 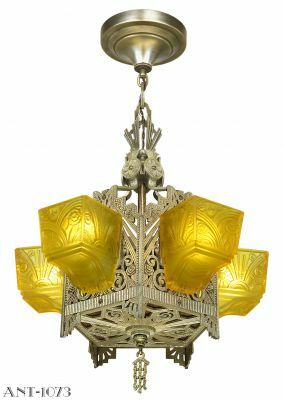 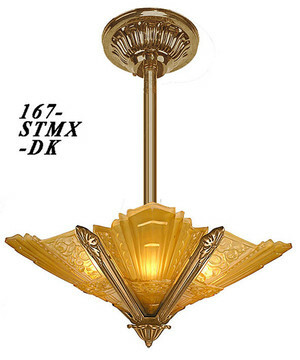 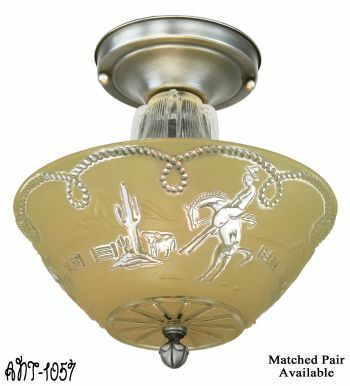 If you have one of these fine chandeliers and need just the replacement slip shade glass, we can provide that as well. 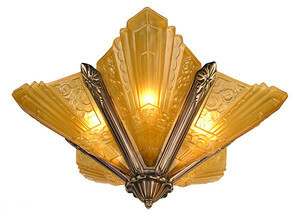 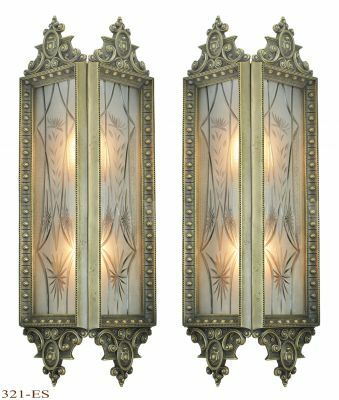 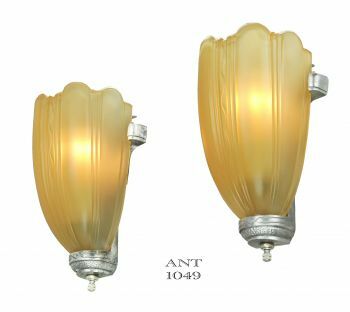 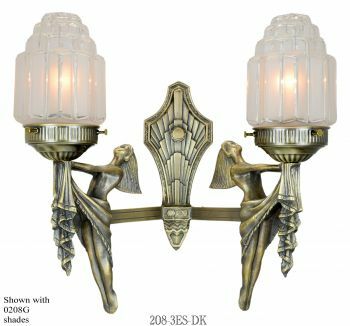 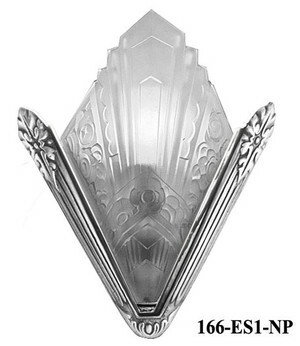 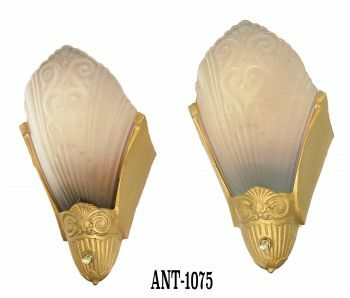 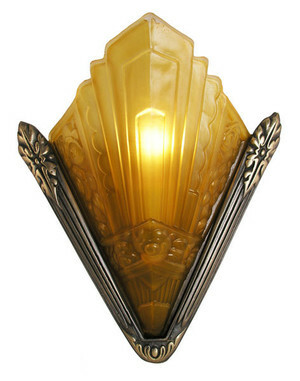 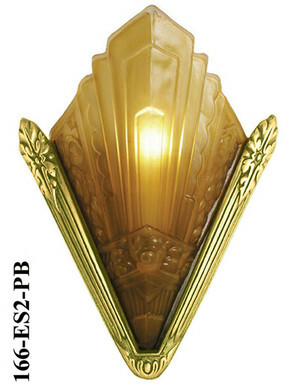 We also make a matching French Art Deco wall sconce.